Our delivery method is Royal Mail First Class post. At our discretion, we may occasionally use alternative carriers. If we are unable to fulfill your order following our order acknowledgement we will contact you advising you of this. 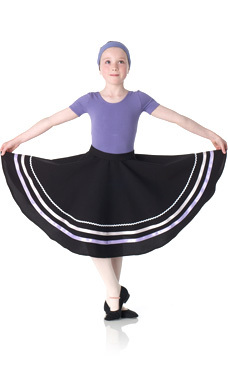 We want you to be completely happy with your Sugarplum Dancewear purchase. If for any reason you would like to return your goods to us, we will be happy to provide a full refund or exchange. Simply return the goods to us, unused and in the manufacturer’s packaging, within 14 days of delivery, accompanied by the Despatch and Returns Form accompanying your order. On this form, you can indicate whether you would like an exchange or refund. Please use the returns label provided to return items to: Sugarplum Dancewear, PO Box 62775, LONDON, SW12 2AQ. If you are returning unwanted goods or goods for exchange (such as for a different size), you will be responsible for the postage costs of returning the goods and remain responsible for such goods until we receive them. Sugarplum Dancewear will only refund postage costs on return of faulty goods, or in the instance of an error on our part. Please note that for hygiene reasons, socks and tights are non-returnable unless faulty. Please ensure that all shoes are tried on a clean surface, as we cannot accept returned shoes that appear worn, or are not in a saleable condition.